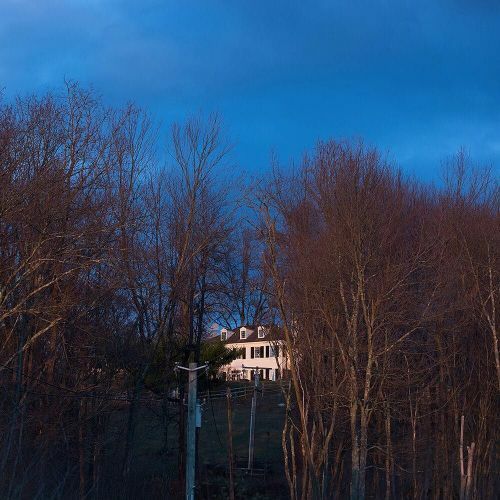 "The Colley home in North Salem, New York, where an 83-year-old socialite named Lois Colley was murdered in November. Investigators have yet to solve the murder, but their investigation has uncovered an unexpected crime: hay theft. The authorities said it is the first time in memory that anyone has been accused of such a thing in New York State. But for nearly 3 years, 2 workers on the 300-acre estate engaged in a scheme to steal hay and sell it, the police said, making about $30,000. But what does $30,000 worth of hay look like? By some estimates and at current market rates, it's about 2,500 to 3,750 bales. Kevin Hagen photographed the Colley home earlier this week on #nytassignment." By nytimes on Instagram.